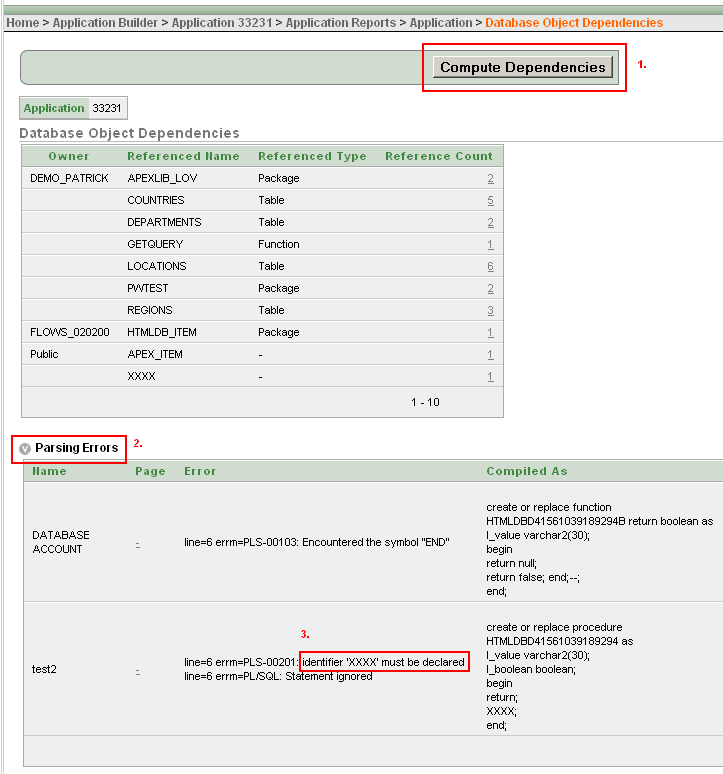 Did you know that you can use the Database Object Dependencies report of Oracle Application Express (APEX) to find PL/SQL code in your application which doesn’t compile? So that your users don’t get a runtime error. Click onto the Parsing Errors link and you have all your invalid PL/SQL code snippets! 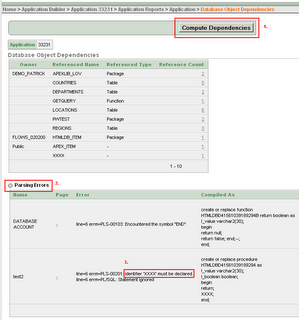 What does APEX/Oracle do in the background when you press the Compute Dependencies button? Very clever! So they didn’t have to write there own parser. And we can use the outcome to see which of the procedures didn’t compile.